I was planning to finish up my Wrath of Khan spoof this week…but then it occurred to me that Valentine’s Day fell on Friday, and it just didn’t seem appropriate. A couple years ago I did a post on Favorite Romantic Couples, and since I’ve read some wonderful romantic stories in recent years, I thought another list would be in order! I don’t think any of these are big surprises within their books, but if you’re particular about spoilers, this post will give away everything about who ends up with whom. I warned you! 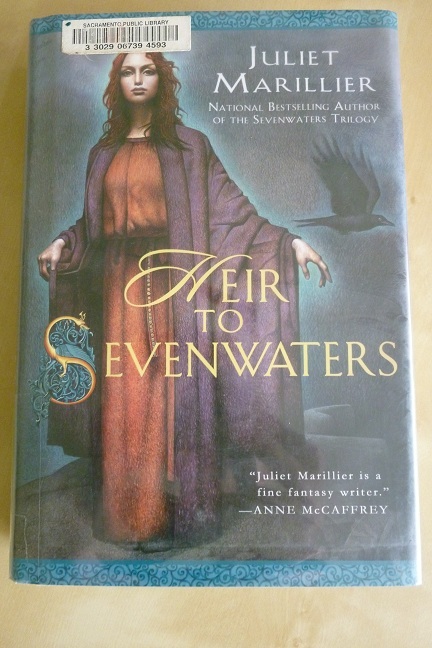 Marillier is one of my favorite authors for truly lovely romances. 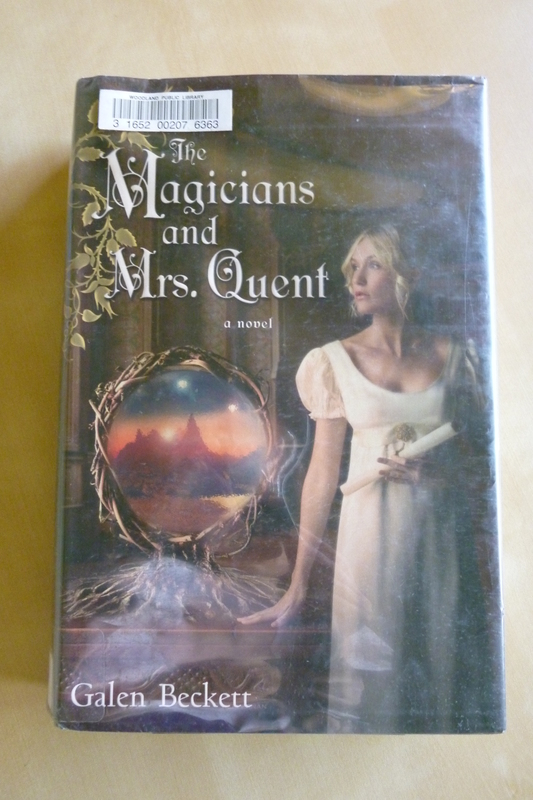 And this book features a romance between two of my favorite archetypes: the dark hero with a good heart, and the “ordinary” woman who has to find her strength. Besides being good characters individually, these two simply fit together so beautifully. It shocks me that Tolkien got a couple on this list. But I love these two characters–and to be honest, after the whole trilogy with barely a woman in sight, Tolkien had set the bar low. The fact that he spent any time on the romance was thrilling. And, well, the credit should really probably go to Peter Jackson, since the extended edition of the movie features the world’s most beautiful forty-eight second love story. It works because I’m assuming this isn’t their first conversation–and because both characters are so beautifully developed and complex that I can see why they belong together without needing to be told. I know everyone’s favorite is supposed to be Mr. Darcy–but Mr. Tilney actually smiles! And is witty and personable! And has a first name (Henry) that comes up more than once! And I suppose I just like a romance between two people who meet, like each other and go on liking each other. Sure, there’s a fight in there, but basically, they just like each other. It’s refreshing. On the other hand, even though these two so clearly need each other and belong together, they still take an entire trilogy to quite sort things out. However, even if I find Catherine and Mr. Tilney refreshing, I suppose I also have a soft spot for romances between two people who both care about each other but need to do some growth as individuals and as a couple before getting to the happily-ever-after part. I don’t usually think of romance when I think of Star Wars, but I just read the Thrawn Trilogy and Han and Leia really are a wonderful couple. Typically, books seem to focus on the falling-in-love part. 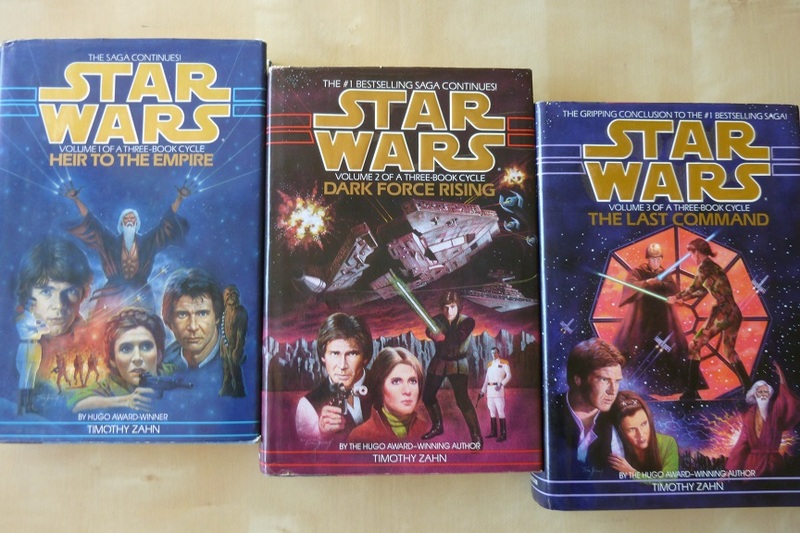 This trilogy, and other Star Wars Extended Universe novels, give us that rare story, a happily married couple! And there’s also the aspect of Leia being so amazing, and Han being so unthreatened by that. He remarks at one point in the book trilogy that some men might be uncomfortable with a wife who can think faster than they can, but he wouldn’t have it any other way. AWW! Your turn–what romantic stories do you like? Any suggestions on ones I should read? I also love Dejah Thoris and John Carter, even though it’s been way too long since I read Burroughs’ Barsoom books. I also agree about Amelia and Emerson. Crocodile on the Sandbank – Elizabeth Peters – Amelia and Emerson -both are strong characters who completely drive the other one crazy…and totally deserve each other. In Death series – J D Robb – Eve and Roark – I love how he keeps carrying the button that came off her “ugly” grey suit the first time they met, when she was investigating a murder and he was a suspect. Outlander series – Diana Gabaldon – Clare and Jamie – makes you believe in the possibility of destiny and true love. Their relationship is filled with honesty, passion and acceptance. One of my favourite romantic stories is Seaward by Susan Cooper. It’s a lovely coming-of-age story with one of the sweetest romances I’ve ever seen. It’s so very much there in West and Cally’s actions, even though the romance itself is such a tiny part of the overall plot. It’s very subtly and beautifully done. 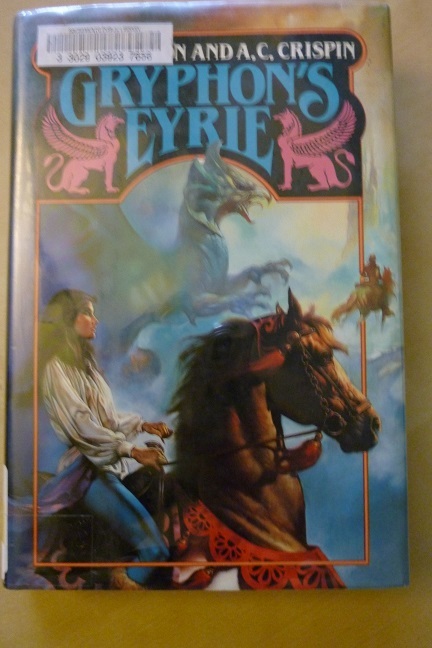 Back to what you were asking, I think Anna Elliott’s Trystan and Isolde books are some of my favourite romance stories as well, even if I do want to shake some sense into the both of them throughout the second book. I should reread them sometime. John Carter and Dejah Thoris have to rate at the top of couples who are made for each other. She has this uncanny tendancy to get kidnapped. So why isn’t she dead? Because of the perfect solution. Give her a love-struck boyfriend (after the first book, husband) with a hero-complex who specializes in daring rescues. A match made in heaven! Loved this post! 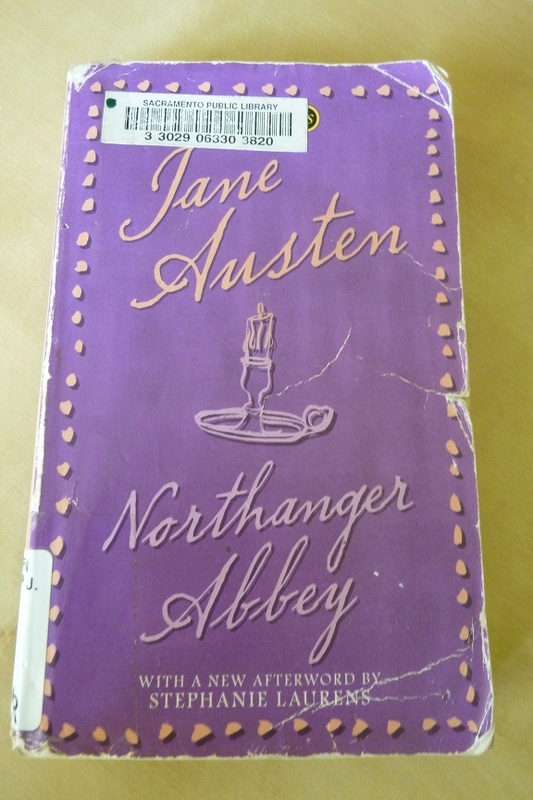 Catherine & Henry Tilney are my favourite Austen couple too, but then I’m biased as Northanger Abbey is my favourite book of hers. 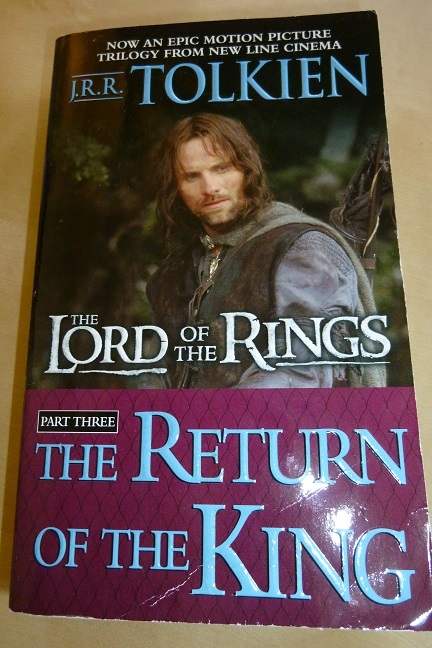 And I’m currently rereading Return of the King, Faramir is such a great character.